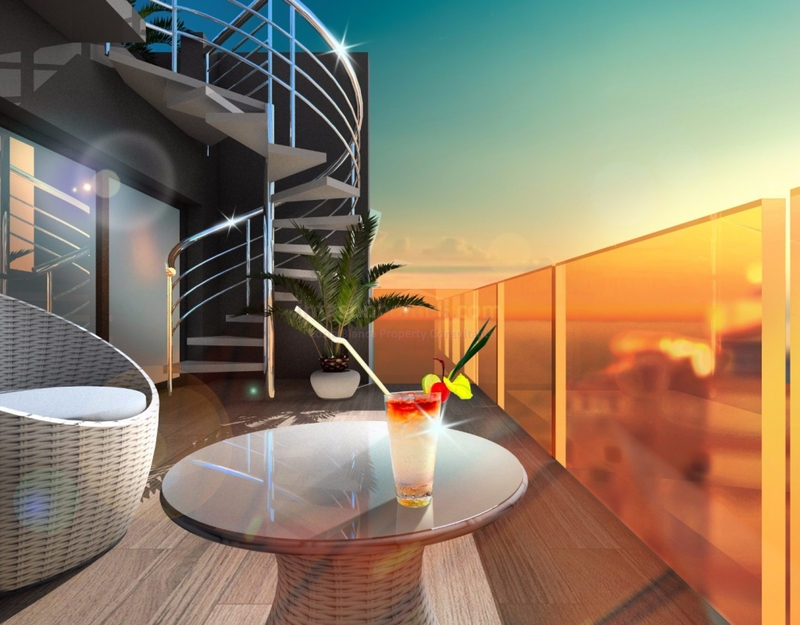 DON'T MISS OUT ON THESE STUNNING LUXURY APARTMENTS AT THE VERY BEST PRICE WITH AN EXCLUSIVE INTASUN CASH BACK OFFER! 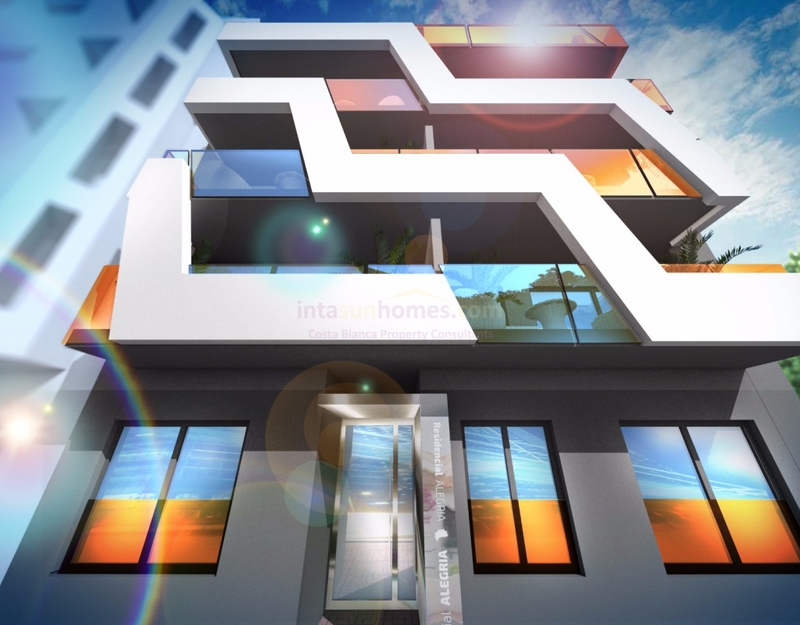 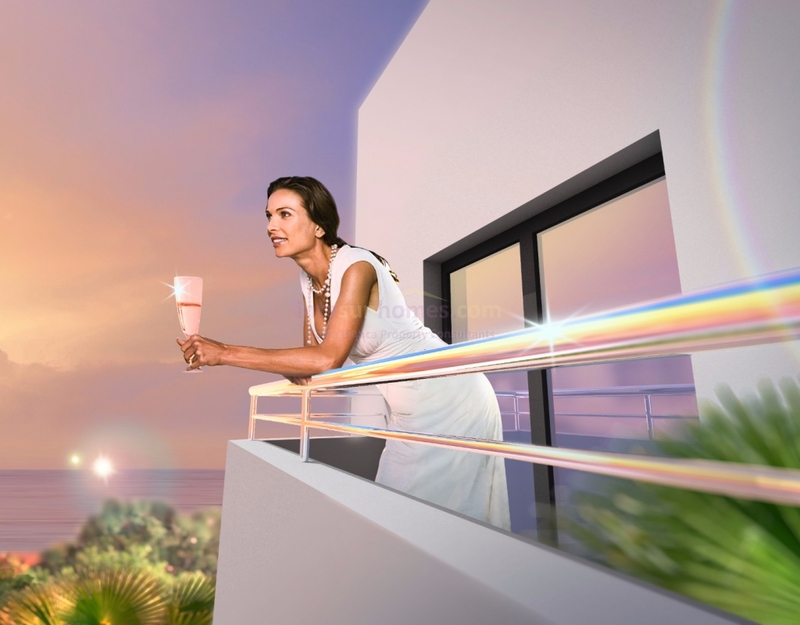 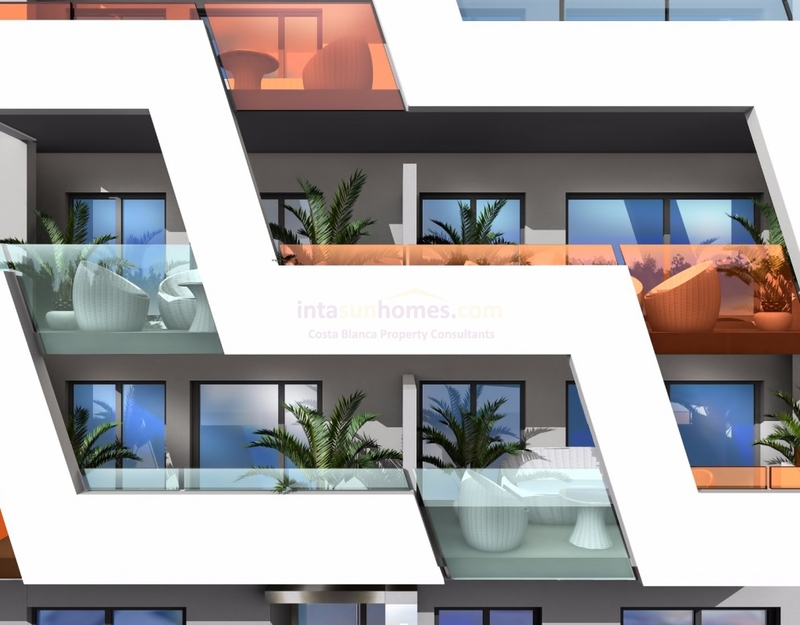 This project contains 10 luxury apartments, south facing with sea views and stylish design at only 100 m from El Cura Beach. 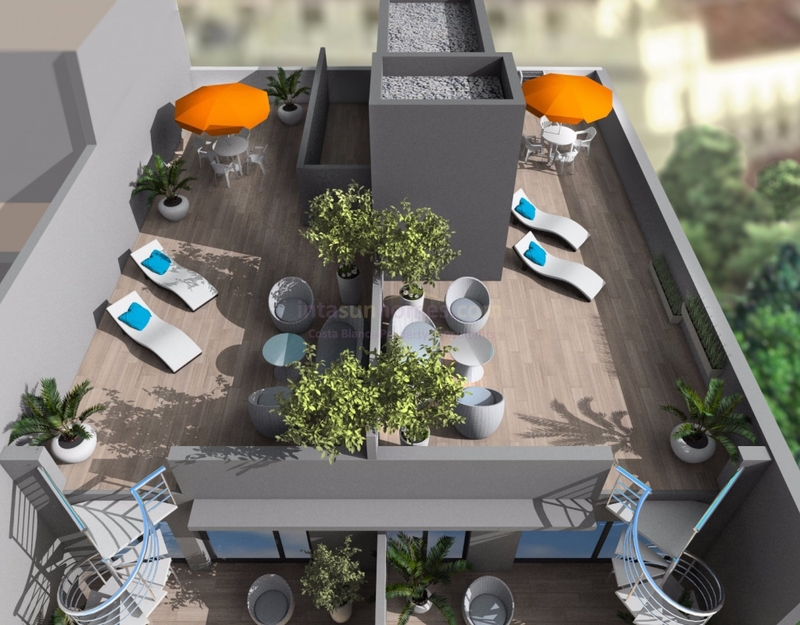 The building has an elevator, saltwater pool, Finnish sauna and chill-out area. 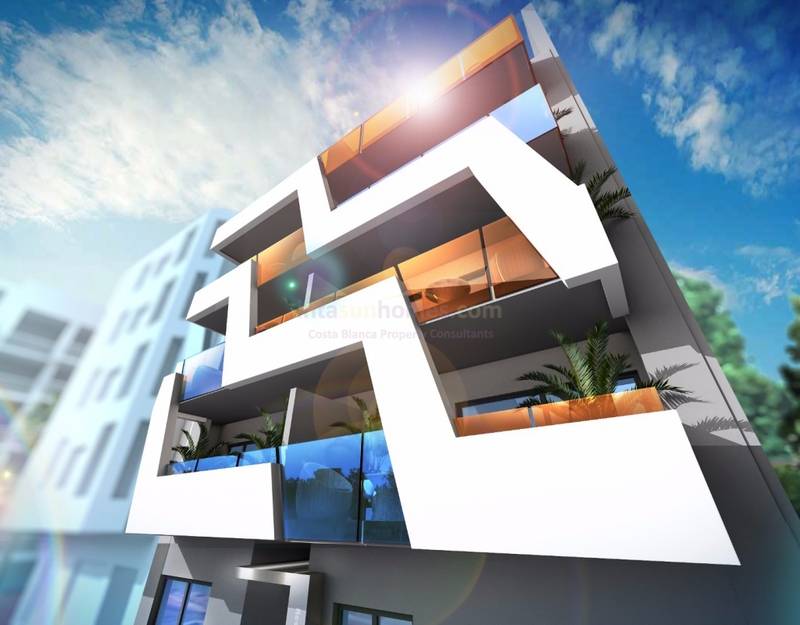 The apartments consist of open plan living with fully fitted American kitchen. 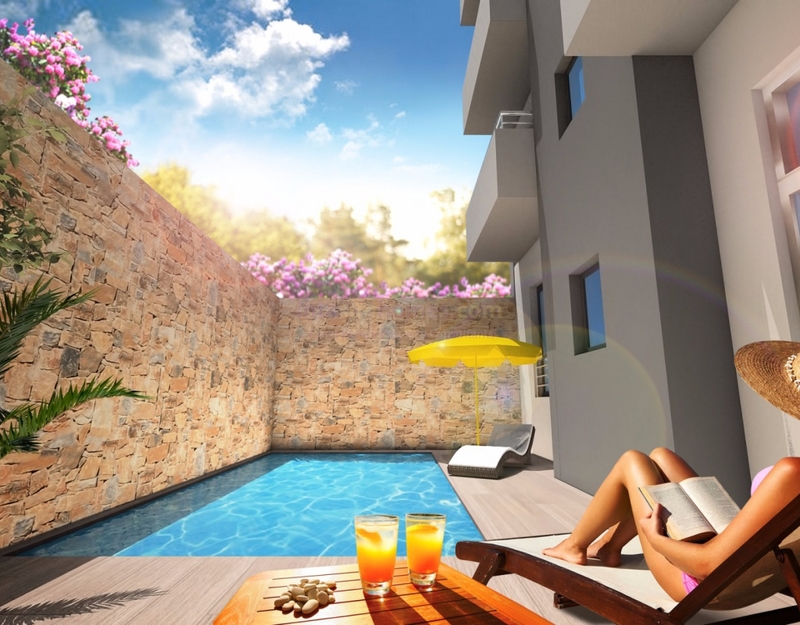 1 or 2 bedrooms with built in wardrobes, one en suite bathroom and one family bathroom. 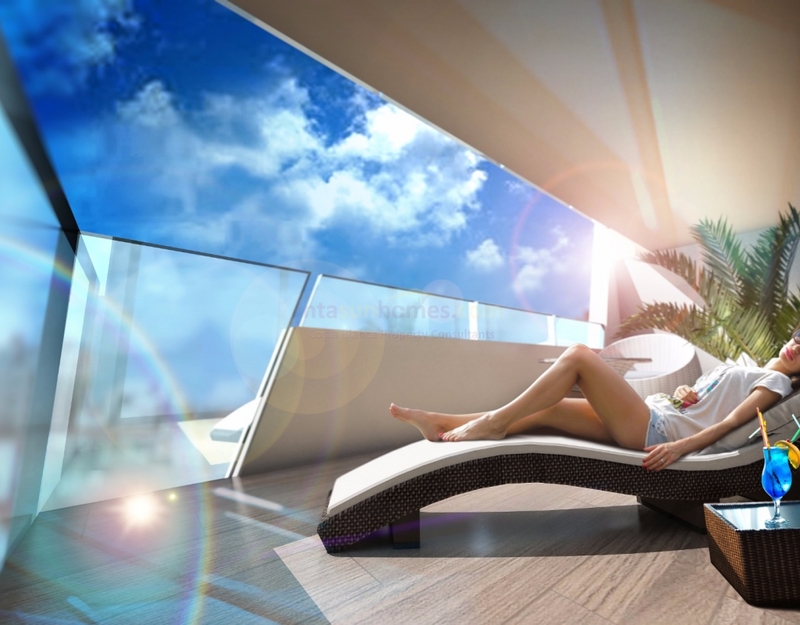 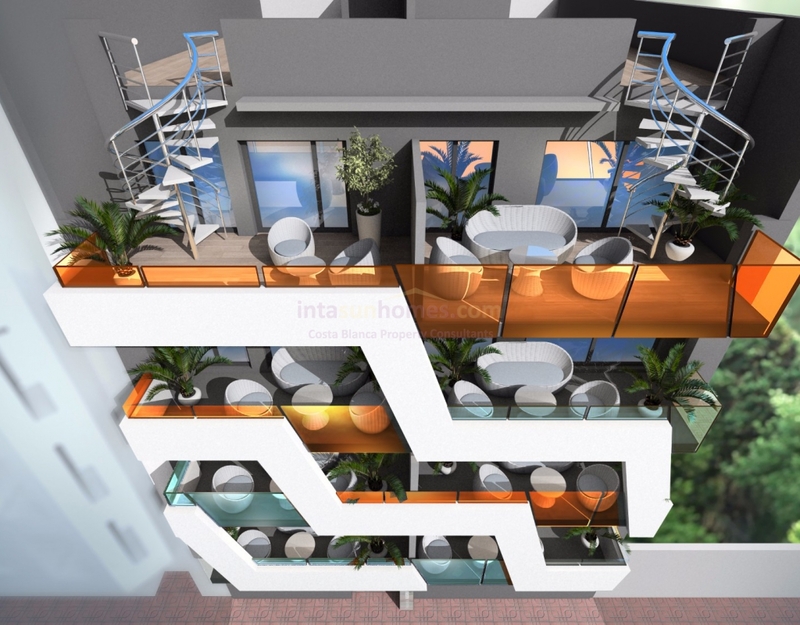 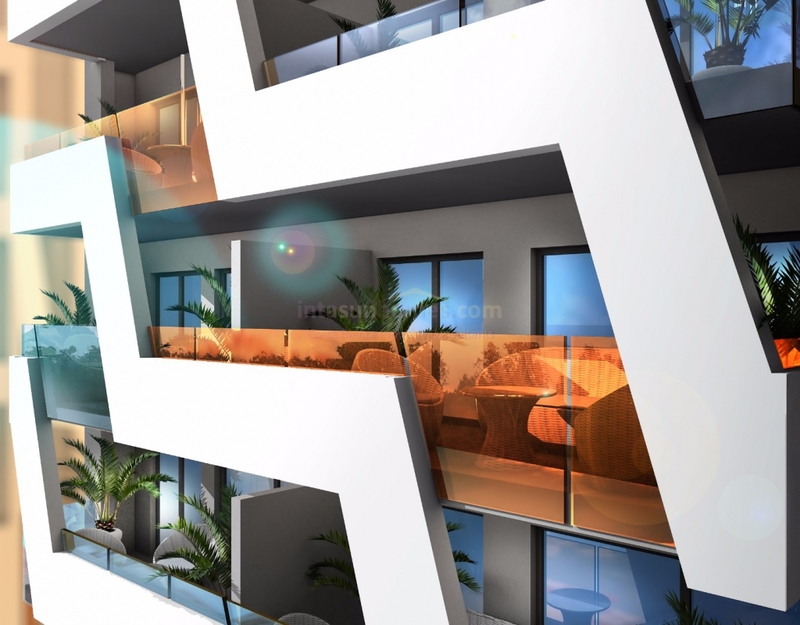 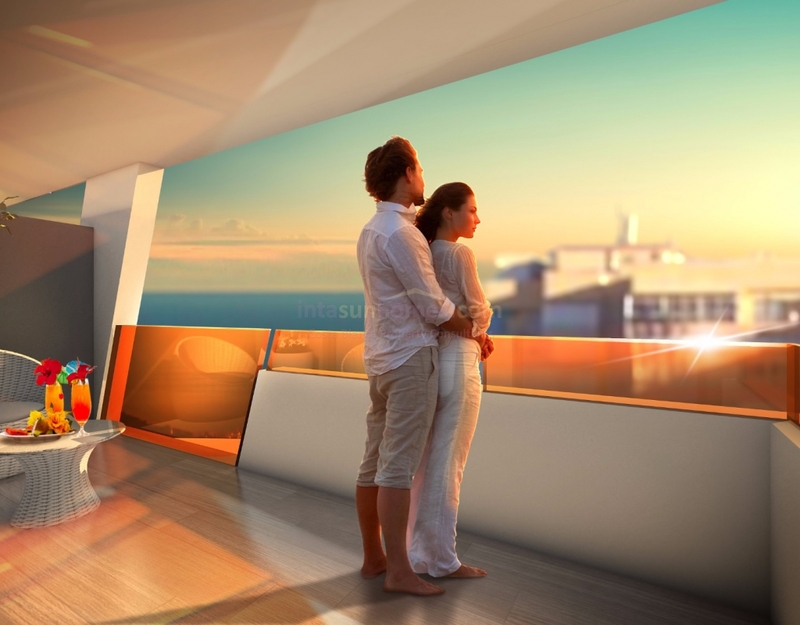 On the top floor there will be 2 penthouses with sea views private solarium, barbecue and shower. 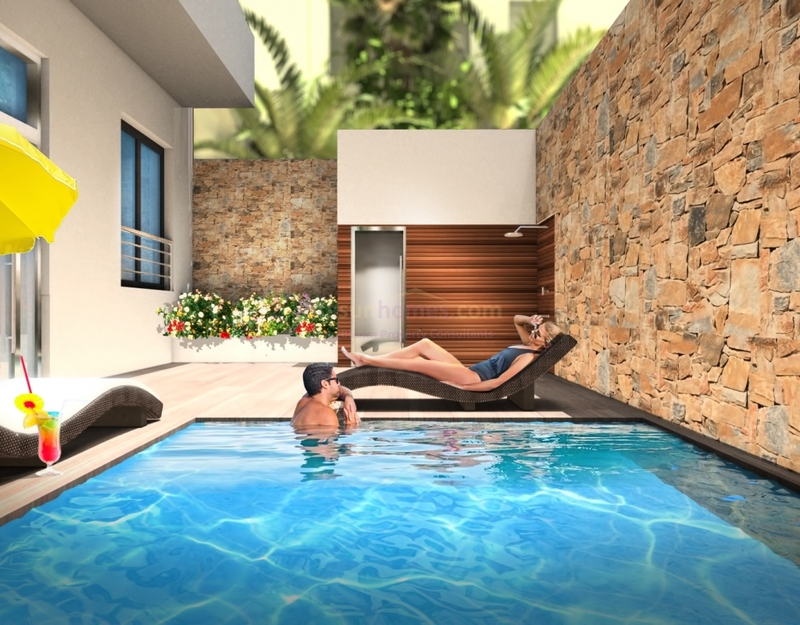 These apartments come with many extras included : Communal pool 6 x 3m, sauna and chill out area. 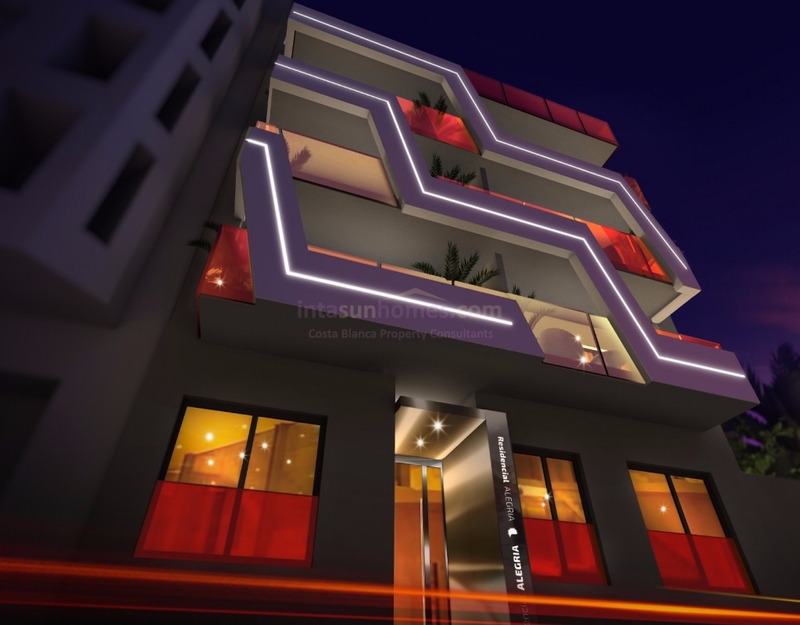 floor heating in the bathrooms, INDESIT brand appliances stainless steel, LED lighting, fully finished and furnished bathrooms, built-in wardrobes, A/C inverter machine included, water heating by aerotermia system. 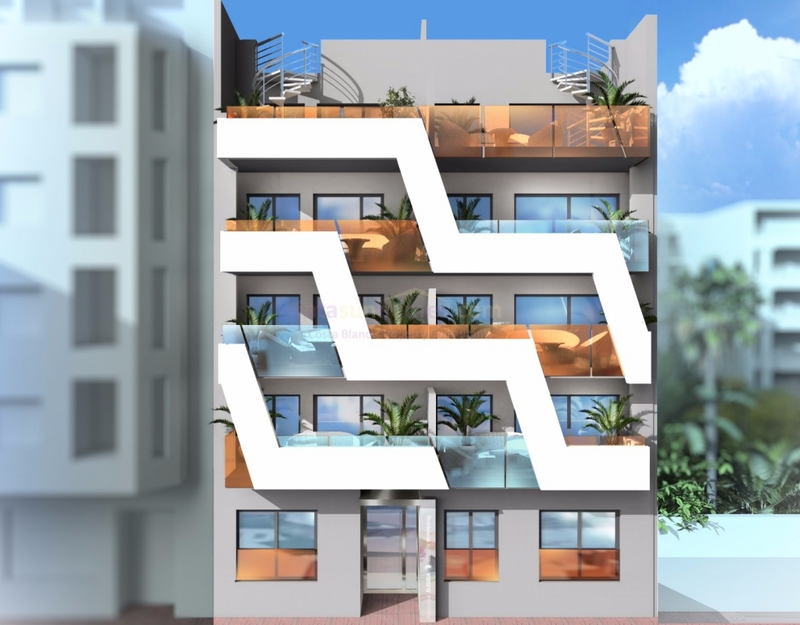 double glassed German Salamander brand Windows, electric blinds, video intercom in all apartments. 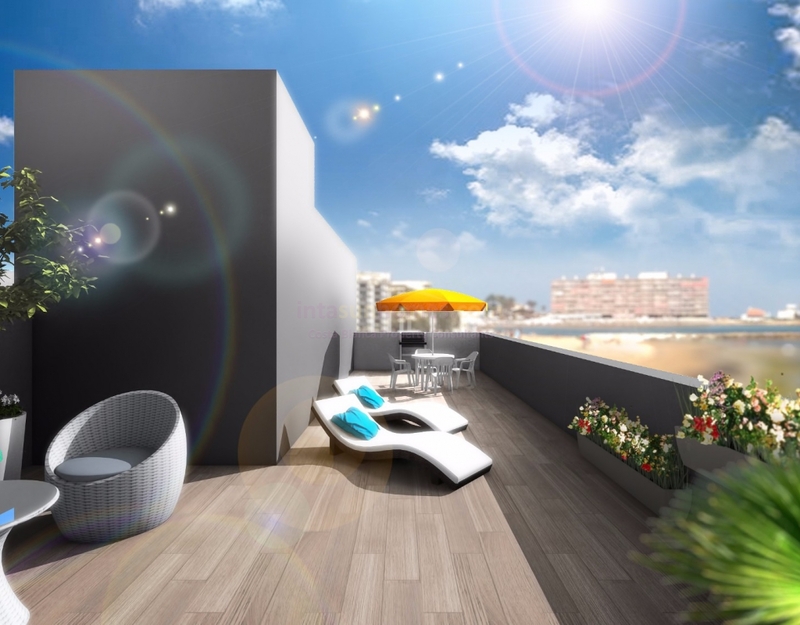 Available: 2 bed 1 bath 120.000€, 2 bed 2 bath from 167.000€, penthouse with solarium from 230.000€.